Center for Civilians in Conflict (CIVIC) works to improve protection for civilians caught in conflicts around the world. We call on and advise international organizations, governments, militaries, and armed non-state actors to adopt and implement policies to prevent civilian harm. When civilians are harmed, we advocate for the provision of amends and post-harm assistance. We bring the voices of civilians themselves to those making decisions affecting their lives. CIVIC’s vision is for a future where parties involved in conflict go above and beyond their legal obligations to minimize harm to civilians in conflict. To accomplish this, we assess the causes of civilian harm in particular conflicts, craft creative solutions to address that harm, and engage with civilians, governments, militaries, and international and regional institutions to implement these solutions. We measure our success in the short term by the adoption of new policies and practices that lead to the improved wellbeing of civilians caught in a conflict. In the long term, our goal is to create a new global mindset around robust civilian protection and harm response. This report was authored by Lauren Spink, Program Officer on Africa and Peacekeeping at CIVIC. Research for the report was primarily conducted by Spink; former Senior Advisor on Africa and Peacekeeping for CIVIC, Matt Wells; and research consultant Jean Claude Buuma Mishiki. It was reviewed by Marla Keenan, Program Director; Chris Allbritton, Communications Manager; Jay Morse, Senior Military Advisor; Evan CinqMars, United Nations Advocate and Policy Advisor; and Federico Borello, Executive Director. In addition, several UN officials provided invaluable feedback on early drafts. Dena Verdesca designed the report and prepared it for publication. CIVIC is grateful to the many officials within the United Nations Organization Stabilization Mission in the Democratic Republic of Congo (MONUSCO) who shared their ideas and their time with our staff. They work every day, often under difficult conditions for long hours, to improve the functioning of the Mission and protection for civilians. Many of the civilians who spoke with CIVIC during our research have suffered decades of violence in eastern Congo and had pressing concerns related to food, health, and security. We greatly appreciate them taking the time to speak with us despite these urgent concerns and we are aware of our obligation to make sure their words are translated into policies and practices that address their protection concerns. How Do Joint Operations Affect Civilian Harm? For two decades, armed groups in the eastern provinces of the Democratic Republic of Congo (DRC) have subjected the civilian population to horrific violence and abuses. For many Congolese citizens, violence is a daily occurrence that has reduced the resilience of individuals and families; crops have been confiscated, houses destroyed, and family members abducted, sexually violated, disabled, and killed. The United Nations has had a peacekeeping presence in the country since 1999 to combat these violations. Today, the United Nations Organization Stabilization Mission in the Democratic Republic of Congo (MONUSCO) is mandated to protect civilians and mitigate the negative effects of its own operations on the civilian population. All military operations, even those undertaken by peacekeeping forces to protect civilians, carry with them the potential to harm civilians. In the context of peacekeeping operations, civilian harm mitigation is an attempt by a peacekeeping mission to reduce the negative effects of their military operations on the civilian population through specific practices, policies, and tools, even when the civilian harm is accidental and occurs within the legal bounds of international humanitarian law (IHL). This report examines what measures and processes MONUSCO has in place to mitigate the negative effects of its operations on the civilian population of the DRC. Where MONUSCO’s civilian harm mitigation tools fall short of best practices, it makes recommendations for how MONUSCO— with support from the United Nations (UN) Security Council, Secretariat, and Department of Peacekeeping Operations (DPKO)—can improve its civilian harm mitigation practices and policies before, during, and after operations. MONUSCO has often been at the forefront of developing new protection tools such as Joint Protection Teams (JPTs) and Community Liaison Assistants (CLAs) which have improved the Mission’s ability to understand and respond to threats against civilians. While the Mission takes civilian harm mitigation seriously, it should do more before operations to ensure the perspectives of civilian components of the Mission are incorporated into tactical military planning and targeting decisions. Greater involvement of civilian personnel in operational planning will help ensure that MONUSCO’s protection goals and principles drive military action. MONUSCO also needs to clarify to all Mission personnel which actors are considered legitimate targets of peacekeeping operations. This is a complex task in the DRC, where combatants are often embedded within the civilian population and abduct civilians to act involuntarily in support and combat roles. While overall, there is a growing understanding within MONUSCO that civilians lose their protection only when they directly participate in hostilities, because of the tactics used by armed non-state actors (ANSAs), there are still some civilian and military personnel within the Mission who view those civilians in the armed groups’ camps as legitimate targets. Thus, peacekeepers need scenario-based training and guidelines drawn from the Mission’s Rules of Engagement (ROEs) that prepare peacekeepers for encountering women and children amongst combatants and stress use of the minimal force necessary against individuals likely serving as involuntary combatants. Disseminating and ensuring that peacekeepers are adequately trained to act on such guidelines will be a challenging undertaking, but as a peacekeeping force tasked with civilian protection and harm mitigation, MONUSCO should go above and beyond the minimum requirements of IHL. Joint operations between MONUSCO and the Congolese National Army (FARDC) require coordination and consultation. However, MONUSCO currently relies too much on information provided by the FARDC during operations. As such, MONUSCO may, at best, forgo opportunities for protecting civilians and, at worst, support FARDC operations that cause excessive civilian harm. MONUSCO should progressively replace reliance on FARDC information with strengthened use of information from MONUSCO’s civilian staff members and Congolese communities. It should also increase its ability and willingness to operate independently. The tools that MONUSCO has in place to review the effects of its operations on the civilian population— including battle damage assessments (BDAs) and Joint Evidence-gathering Teams (JETs)—give it some understanding of the human consequences of its actions. Improvements can and should be made to these tools, for example, by standardizing reporting around BDAs and prioritizing funds to increase JET capacity. However, the larger gap identified by MONUSCO staff members is the absence of a process to look holistically at civilian harm and analyze how the human consequences of each operation affect the larger strategic priorities of the Mission. MONUSCO should incorporate its current civilian harm analysis tools into a larger system for thoroughly investigating allegations of accidental civilian harm, tracking and analyzing harm to feed back into mission planning, and making amends for harm caused. Engage in high-level discussions with MONUSCO’s leadership to harmonize priorities for joint MONUSCO-FARDC operations and for improved joint operational planning. Ensure that FARDC ofcers participate in constructive joint operational planning with MONUSCO and give the Mission Force adequate notice of operations to allow for proper analysis of potential civilian harm. As part of broader security sector reform initiatives, prioritize additional IHL training for FARDC soldiers with an emphasis on distinction and scenario-based trainings that prepare those soldiers for responding appropriately when they encounter combatants amongst the civilian population. Continue to promote accountability for abuses by FARDC soldiers, expand eforts to inform the civilian population about how to report abuses to actors within the justice sector, and, in partnership with MONUSCO, ensure protection for civilians who report FARDC abuses. Ensure that, when assessing the acceptability of civilian harm before, during and after operations, Mission leadership and officials consider how an individual military operation supports the larger strategic goals of civilian protection, peace consolidation, and stabilization. Increase involvement of key MONUSCO civilian officials in operational planning at the tactical and targeting levels; at a minimum, establish official procedures that involve the Mission’s Senior Legal Advisor in all targeting board meetings, and the Heads of Office and future Senior PoC Advisor to the Special Representative to the Secretary-General (SRSG) in all concept of operations meetings. Review how information is exchanged between civilian Mission components, particularly those in field offices, and Force. Ensure that information generated by Joint Mission Analysis Center (JMAC), civil affairs officers, political affairs officers, community liaison assistants, and other field-based personnel drive PoC focused military operations that reflect the most current knowledge on the tactics of armed groups. Make clear to all MONUSCO personnel that civilians present in and around militia camps are not automatically considered lawful military targets. Establish scenario-based trainings that better prepare peacekeepers for encountering combatant dependents and civilians serving in support roles amongst combatants during their operations. In line with Rules of Engagement, make clear to Mission personnel that while they can use deadly force against all individuals directly engaged in hostilities, when at all possible they should avoid using deadly force against individuals likely to be involuntarily serving as combatants, with a special emphasis on avoiding use of deadly force against female combatants and child soldiers. Progressively replace reliance on information collected from FARDC sources (currently heavily used to inform targeting and engagement decisions as well as assess the post-mission impact of operations on the civilian population) with greater reliance on information collected from MONUSCO civilian staff members and Congolese communities. Build capacity of MONUSCO to take unilateral action when needed by, for example, increasing Force knowledge of geographic and cultural context and ability of Rapidly Deployable Battalions (RDBs) to quickly access remote areas of the country. Instruct the Force to act unilaterally when necessary to protect civilians. Expand how the Human Rights Due Diligence Policy (HRDDP) is applied to consider not only whether MONUSCO should partner with individual FARDC commanders, but also whether the civilian impact of joint operations in particular regions warrants more serious action, including temporary cessation of assistance until the FARDC improves its compliance with IHL or until the priorities and strategic objectives of MONUSCO can be re-aligned with ground operations. Establish a clear and more thorough procedure for conducting battle damage assessments (BDAs) and recording information from BDAs in reports that can be shared with civilian components of the Mission. One component of the BDA should be assessing whether an operation has contributed to broader PoC goals. Continue to clearly define the role and importance of JETs, as distinct from other tools, to collect information on civilian harm. Integrate JETs into a larger system for investigating, tracking, and analyzing accidental civilian harm which can be used to reduce the negative impact of MONUSCO and joint operations on the civilian population. Promote analysis of civilian harm that feeds back into operational planning and looks at the wider effects of operations on the civilian population as opposed to narrow analysis that considers only loss of civilian lives and property directly caused by operations. For example, analyze whether military operations displace armed groups into civilian areas, or the likelihood of a peacekeeping operation prompting retaliatory attacks against the civilian population. Establish a standard operating procedure (SOP) on amends that ensures that MONUSCO is systematically addressing civilian harm. An SOP on amends should include specific information on how MONUSCO will communicate to communities on the process and outcomes of investigations. In partnership with regional organizations and bilateral donors, place pressure on the DRC Government to adopt wider, more comprehensive security sector reform programs; to engage in efforts to synchronize the priorities and goals of FARDC and MONUSCO operations and; to conduct joint operations in good faith. Carefully consult Mission leadership during MONUSCO’s mandate renewal to ensure that mandated tasks, language, and tools promote civilian harm mitigation and are well suited to the situation in eastern Congo. Make clear to MONUSCO that the Force is expected to act unilaterally when necessary to protect civilians from harm. Review MONUSCO’s Rules of Engagement to ensure that they clearly outline how peacekeepers should react during operations against armed non-state actors (ANSAs) when they encounter combatant dependents, civilians serving in support roles for militia groups, and female and child combatants engaged in active hostilities..
Increase support for scenario-based trainings for Mission personnel that prepares peacekeepers for encountering abductees, child soldiers, and combatant dependents during operations. Support the training of MONUSCO personnel on joint mission planning with FARDC counterparts. Prioritize funding for improving MONUSCO’s ability to collect and analyze evidence of civilian harm from its operations, including dedicating funds to support the expansion of JETs and to build required skills amongst Mission staff. Develop an action plan for the establishment of an official MONUSCO amends policy. As part of the action plan, provide financial analysis and support for the establishment of the policy. This report is primarily based on field research conducted by two Center for Civilians in Conflict (CIVIC) staff members and one research consultant who conducted interviews in the Goma, Beni, Masisi, and Walikale regions of the Democratic Republic of Congo over a six-month period from July through December 2016. Several additional interviews were conducted with subject matter experts through telephone and Skype. CIVIC interviewed 92 civilians,1Of the 92 civilians interviewed, 40 were women and 52 were men. 28 MONUSCO officials, 10 FARDC soldiers, and 43 other key informants including leaders of local and international NGOs, civil society organizations, researchers, and diplomats. In some cases, multiple interviews were conducted with the same person to understand his or her perspective comprehensively. All interviews were conducted using a semi-structured format. CIVIC took steps to ensure that the civilian voices incorporated into our research and report reflect a balanced gender ratio and a variety of different perspectives including people of different ethnicities and educational levels. While CIVIC researchers utilized questionnaires during their interviews with civilians to ensure consistency in our questions and build a depth of knowledge in particular areas, interview questions were also tailored to each individual’s experiences, and civilians were encouraged to speak about issues important to them. Most interviews were conducted on an individual basis to ensure their privacy and security. Exceptions occurred when participants requested the presence of another individual or where a participant was under the age of 18, in which case an adult relative was present for the conversation, with the permission of both the adult and child. 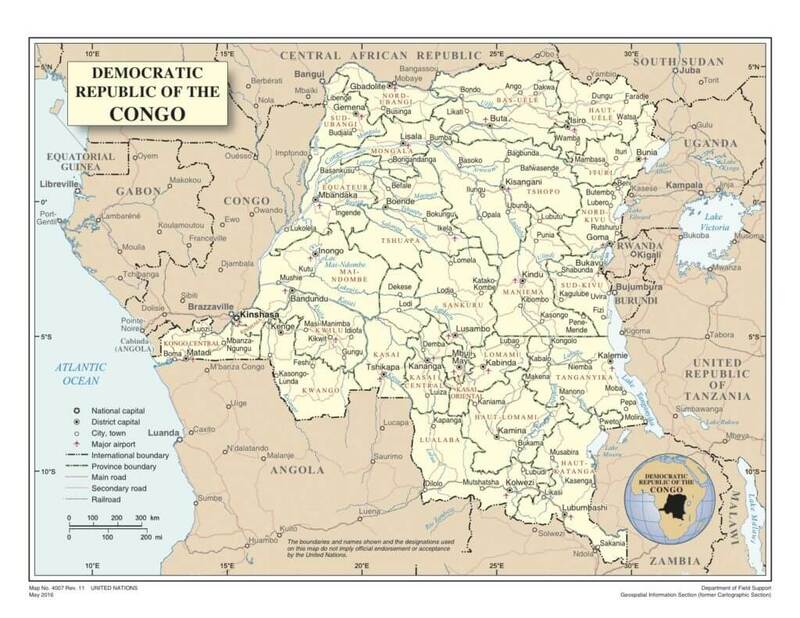 The Democratic Republic of Congo (DRC) was racked by two wars during the 1990s, both characterized by brutal attacks against civilians and exacerbated by international involvement and support for armed groups. The Second Congo War officially ended in 1999 with the signing of the Lusaka Peace Accord, after which a 5,000-strong United Nations peacekeeping mission (known as MONUC) was deployed in support of the peace agreement.2Human Rights Watch, Democratic Republic of Congo: On the Brink, August 1, 2006. 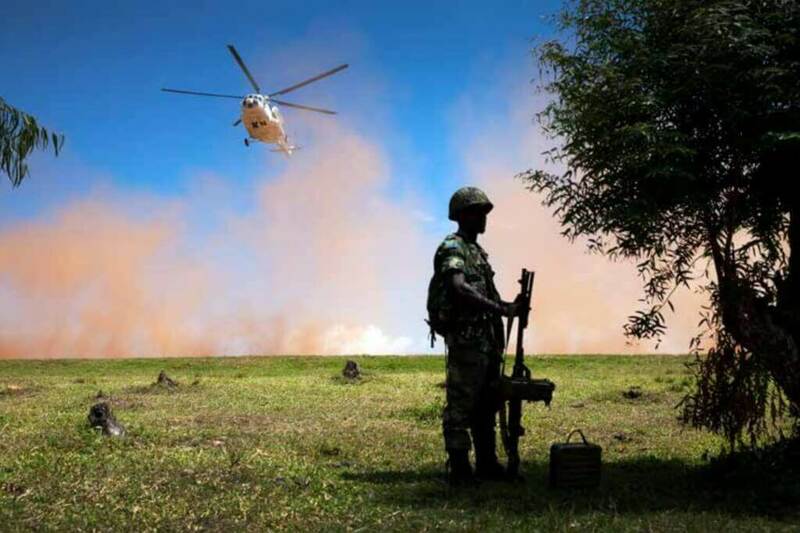 Rwandan and Ugandan armed forces remained in the country until 2002 when President Joseph Kabila negotiated bilateral treaties with both countries on the withdrawal of their troops. 3Agreement Between the Governments of the Democratic Republic of the Congo and the Republic of Uganda on Withdrawal of Ugandan Troops from the Democratic Republic of the Congo, Cooperation and Normalisation of Relations Between the Two Countries, September 6, 2002; Peace Agreement Between the Governments of the Republic of Rwanda and the Democratic Republic of the Congo on the Withdrawal of the Rwandan Troops from the Territory of the Democratic Republic of the Congo and the Dismantling of the Ex-FAR and Interahamwe Forces in the Democratic Republic of the Congo (DRC), July 30, 2002. An estimated 3.9 million people died between 1998 and 2004 as a result of direct violence and the collapse of infrastructure and health services brought on by the violence.4 International Rescue Committee, Mortality in the Democratic Republic of Congo: An Ongoing Crisis, January 22, 2008. The formal end of conflict in the country has not resulted in actual peace and progress for the civilian men, women, and children living in eastern DRC. Armed non-state actors (ANSAs) have continued to inflict suffering on Congolese civilians and the UN has maintained a presence in the DRC to combat violence and insecurity. In July 2010, MONUC was transformed into the United Nations Organization Stabilization Mission in the Democratic Republic of Congo (MONUSCO) to reflect its shifting focus towards strengthening stability and peace in the country. 5United Nations Security Council Resolution 1925 (2010), UN SC Doc. S/RES/1925, May 28, 2010 Throughout its existence, protection of civilians has remained a core part of MONUSCO’s mandate and the Mission is authorized to “take all necessary measures” to carry out its responsibilities to protect civilians. 6United Nations Security Council Resolution 2211 (2015), UN SC Doc. S/RES/2211, March 26, 2015.In March 2013, a Force Intervention Brigade (FIB) was created within MONUSCO and tasked with offensive responsibilities to neutralize armed groups operating in the country.7United Nations Meetings Coverage, “‘Intervention Brigade’ Authorized as Security Council Grants Mandate Renewal for United Nations Mission in Democratic Republic of Congo,” March 28, 2014. Joint Mission Analysis Center (JMAC), UNICEF, UN High Commissioner for Refugees, UN Office for the Coordination of Humanitarian Affairs, and Joint Human Rights Office (JHRO).8CIVIC interview with MONUSCO civilian official, Goma, October 2016; United Nations, Protection of Civilians Coordination Mechanisms in UN Peacekeeping Missions, 2012. MONUSCO’s presence in the country and attempts to adopt new protection tools, however, has failed to eradicate violence by armed non-state actors. Over the last decade, armed groups in the east have fractured and multiplied. As one militia group terrorizes a local population, self-defense groups spring up to combat the violence only to begin subjecting the civilian population to atrocities themselves. Currently, there are more than 80 armed groups operating in eastern DRC, 11This number reflects the latest figure being used by a UN official who spoke with CIVIC in December 2016. Other sources may cite a different number, as the number depends on whether particular branches of militias and self-defense groups are considered linked or autonomous.the most prominent of which are the Democratic Forces for the Liberation of Rwanda (FDLR), Allied Democratic Forces (ADF), the Front for Patriotic Resistance in Ituri, the Lord’s Resistance Army, and dozens of smaller Mai Mai, Nyatura, and Raia Mutomboki factions. 12For additional information on armed groups, see Center on International Cooperation, The Landscape of Armed Groups in Eastern Congo, December 2015.In North Kivu Province alone, civilians report hundreds of security violations by these armed groups to the United Nations each month.13Information on weekly and monthly violations is recorded by the United Nations High Commissioner for Refugees in DRC. Many of the armed groups operating in eastern DRC live near or within towns and villages and inflict daily threats, violence, and fear on the population. Often civilians are the primary targets of attacks by armed groups who accuse them of supporting and aiding rival militias or the Congolese government. Civilians continue to be displaced in large numbers and subjected to sexual violence as they commute between their homes and farms. Many armed groups impose a “tax” on the local population, forcing each individual in a community to pay the group 1,000 Congolese Francs (approximately $1 USD) per month. Single mothers and youths struggle to afford these fees and those who cannot pay risk being attacked, imprisoned, or subjected to sexual violence. Militia groups regularly abduct men, women, boys, and girls to serve as porters, cooks, combatants, human shields, and sexual slaves.14CIVIC interviews with civilians in Goma, Masisi, Beni, and Walikale, July-December 2016. The armed groups operating in eastern DRC live near or within towns and villages and infict daily threats, violence, and fear on the population. The continued suffering of the population necessitates ongoing efforts to improve MONUSCO’s tools and policies for protecting civilians and reducing the harm caused by MONUSCO’s own operations along with joint operations between MONUSCO and the Congolese Armed Forces (FARDC). MONUSCO will never be able to maintain a presence in each village or prevent every attack against civilians. However, it can ensure that it does not compound civilian harm through its own actions. Furthermore, if the Mission does accidentally destroy civilian property or physically harm civilians during its operations, it can guarantee that MONUSCO systematically analyzes and addresses this harm. One key element of civilian harm mitigation is ensuring proper operational planning is in place to analyze the likely and possible effects of military peacekeeping operations before they begin. MONUSCO has developed a number of tools and processes for conducting this type of pre-mission analysis that bring together both military and civilian components of the Mission. Coordination tools play an important role in reducing the potential for civilian casualties in MONUSCO’s operations and in joint operations with the FARDC by ensuring that both military and civilian skills and analysis are combined to consider civilian harm mitigation in the planning phase. While many coordination tools are already in place, there is a need for wider use of MONUSCO civilian intelligence to inform military operations and increased involvement of MONUSCO civilian staff in operational planning at the tactical and targeting stages. MONUSCO also needs to make clear to all Mission personnel that use of deadly force should only be intentionally applied against individuals directly participating in hostilities. Harm to combatant dependents and individuals serving in support roles for militia groups should be avoided whenever possible and carrying a weapon does not automatically indicate an individual is directly participating in hostilities. 15See ICRC, Interpretive Guidance on the Notion of Direct Participation in Hostilities Under International Humanitarian Law, May 2009 Greater clarity on how peacekeepers should respond to the presence of children and women on the battlefield— whether armed, being used as shields, or serving in support functions—is needed along with the creation and dissemination of practical scenario-based guidelines derived from the Mission’s Rules of Engagement. Overall, MONUSCO civilian and military staff appear committed to improving civilian involvement in military operations as a component of civilian harm mitigation and establishing targeting guidelines that reduce civilian harm. However, additional progress and measures are needed. As noted, MONUSCO has developed a number of tools and processes for promoting civilian protection and reducing civilian casualties in its military operations that draw on the expertise of both military and civilian personnel, including a Protection Working Group (PWG) a Senior Management Group on Protection (SMG-P) at the national level, and Provincial Senior Management Group on Protection (SMG-PP). To minimize civilian harm and casualties, MONUSCO human rights officials, civilian affairs officials, civilian heads of office, and civilian divisions of the Mission dedicated to information collection and analysis such as the Joint Mission Analysis Center (JMAC) are all consulted by MONUSCO Force in operational and contingency planning, and on the likely impact of certain operations on civilians. Officials from Joint Human Rights Office (JHRO) now attend daily military briefings, as do Women Protection Advisors and PoC Advisors. The presence of civilian Mission staff in daily military briefings is a new initiative described by one MONUSCO civilian official as “a bit in the baby phase.”16CIVIC interview with MONUSCO civilian official, Goma, July 2016However, it is a welcome activity that, along with other collaboration tools developed by the Mission, demonstrates a commitment on the part of both civilian and military components of MONUSCO to reduce civilian harm in military peacekeeping operations. However, many civilians within MONUSCO saw a need for greater integration of civilian perspectives into military operational planning to promote protection of civilians during operations. One MONUSCO civilian official stated, “It is not about mainstreaming PoC, it is about making [PoC] more the overall focus of the Mission. This is falling down most in operational planning.”17CIVIC interview with MONUSCO civilian official, Goma, October 2016.Additionally, a second MONUSCO civilian official noted that the SMGP does not meet regularly and that the various coordination meetings are not being sufficiently used to inform military operational planning. 18CIVIC correspondence with MONUSCO civilian official, December 2016 A humanitarian official working closely with the Mission voiced a similar view: “The capacities and tools exist, though civilians in the Mission will say that the military doesn’t listen to them. … But in terms of impact [on PoC], it’s still insufficient.”19CIVIC interview with humanitarian actor, July 2016. Specifically, several MONUSCO officials said that civilian information gathering and analysis has evolved and improved greatly over the past year, and that the Mission has a much more detailed understanding of how different armed groups in the DRC operate. Ideally, this analysis on the behavior of armed groups should be fully utilized in operational planning to anticipate and reduce civilian harm. However, this analysis has failed to translate into military operational planning that fully considers civilian analysis on armed groups. 20CIVIC interviews with UN and MONUSCO civilian officials, Goma, July and October 2016According to one MONUSCO civilian official: “We are getting better at analysis. How well that is being coordinated overall with operations is still an issue.”21CIVIC interview with MONUSCO civilian official, Goma, October 2016. The primary civilian body tasked with information collection and analysis in MONUSCO is JMAC. In conversations with CIVIC, one UN official noted, “JMAC has [the analysis], but it doesn’t mean senior military officers take it into consideration or are even exposed to it. … So, it’s not necessarily feeding into operational planning or risk assessments.”22CIVIC interview with UN official, Goma, July 2016.While Mission officials confirmed to CIVIC that JMAC increasingly exchanges information with MONUSCO Force, wider information sharing and military initiatives based on JMAC analysis may be needed. Currently JMAC reports directly to the Office of the Special Representative to the SecretaryGeneral (SRSG) which limits how widely information from JMAC filters to other Mission components. MONUSCO should consider whether revised terms of reference for JMAC would improve information sharing.23CIVIC interview with MONUSCO civilian official, Goma, October 2016; correspondence with MONUSCO civilian official, December 2016. Civilian perspectives also appear to be integrated more thoroughly into broad Mission planning than into tactical military planning and targeting decisions. MONUSCO has in place strong targeting procedures for reducing civilian casualties in its operations. A targeting board oversees operational decisions, targeting rules are based on US and UK army manuals, an indirect fire policy is in place to guide military action, and MONUSCO’s military legal advisor is included in the targeting board to promote civilian harm mitigation. CIVIC learned of several initiatives by MONUSCO Force to engage with Mission civilian officials to improve their targeting practices. 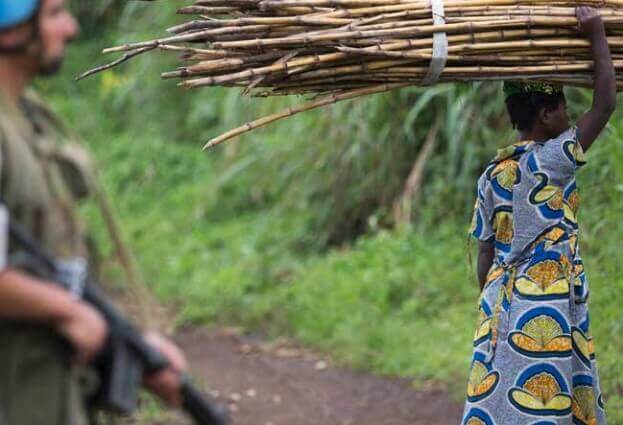 In some cases, MONUSCO military officials have consulted civilian staff specializing in gender and protection of women to assist them in distinguishing between female combatants and women held in combatant camps as sexual slaves. 24CIVIC interview with MONUSCO civilian official, Goma, July 2016.Force has also recently begun informally consulting MONUSCO’s civilian Senior Legal Advisor for input in targeting decisions. 25CIVIC interview with MONUSCO civilian official, Goma, October 2016.However, no MONUSCO civilian personnel are systematically included in targeting boards, targeting decisions, or in concept of operations meetings where tactical plans are developed. 26CIVIC interviews with MONUSCO civilian and military officials, Goma, November and December 2016.The processes that exist for consulting civilian colleagues are informal, and MONUSCO Force is resistant to wider inclusion of civilians in targeting and tactical decisions. “How do we plan with PoC in mind? We need to bring the civilian side in [early]. Does that always work? No. There are tensions between Force and the civilian [side of the Mission]. At the HQ level, [those tensions] aren’t huge, but as you go down, they get bigger. … Hopefully that information [makes its way] into military planning, but even if not, at least the civilian side knows and they can plan through their own channels. Do we understand all PoC policies? No. What we know is who we need to bring in, and they can tell us we can’t do ‘X.’”27CIVIC interview with MONUSCO military official, Goma, July 2016. Amongst MONUSCO military officials, there is a concern that allowing a larger role in planning for MONUSCO’s civilian personnel—particularly at the tactical and targeting levels—creates a risk of information leaking and damaging the ability of the Force to effectively carry out operations. 28CIVIC interviews with MONUSCO military officials, Goma, July and October 2016; CIVIC interview with UN official, Goma, October 2016.This inclusion was viewed as an acceptable risk by some elements of the Force, while others felt the risk required careful consideration about which operations civilians should be involved in at a more tactical level. For example, there appears to be less resistance to involvement of civilian counterparts in tactical operations against the FDLR than action against the ADF.29CIVIC interviews with MONUSCO military officials, Goma, July and October 2016. Practically, it is difficult to involve MONUSCO civilian staff deeply at the field level, as senior civilian staff members are rarely deployed permanently to active areas of military operations. There has been some support within the Mission for deploying senior civilian personnel to areas of Force operations to promote better integration of civilian PoC capacity. 30CIVIC interview with MONUSCO civilian official, Goma, October 2016.Such an initiative, while posing potential security risks for civilian staff, could improve the level of inclusion of MONUSCO protection, gender, and political advisors in tactical decision-making and reduce the potential for civilian harm in MONUSCO’s operations. Although there may be some resistance from the Force to a wider inclusion of civilians in concept of operations and targeting meetings to protect the secrecy of their operations, at a minimum MONUSCO’s policies should be adjusted to include the civilian Senior Legal Advisor in targeting board meetings and MONUSCO’s Heads of Office in concept of operations meetings. There is a recruitment process underway to fill the Senior PoC Adviser position, which is currently located in the Rule of Law/Operations pillar, but may be moved under the SRSG. 31CIVIC interviews with MONUSCO military and civilian officials, Goma, December 2016.Once in place, the Senior PoC Advisor should also be included closely in tactical and targeting decisions. Civilian integration into operational planning has been increasing, but on a relatively ad hoc basis and it has taken time for military officials to see the value of civilian involvement in Force operations. Building personal trust and relationships between colleagues takes time, and without more institutionalized avenues of communication and planning at the tactical and targeting level, staff turnover of MONUSCO military officials every six to nine months could impede collaboration. It would be better, however, if the personal element of military-civilian collaboration were minimized in favor of structures promoting systematic and institutionalized coordination. Overall, MONUSCO’s targeting practices themselves are robust. There is, nevertheless, a concern over who the Force defines as a civilian. In many ways, the targeting practices of MONUSCO are strongly focused on avoiding civilian casualties. Analysis is done before operations to understand the potential harm to civilians. As noted previously, MONUSCO civilian personnel participate in operational planning to promote civilian protection. Collateral damage assessments are undertaken by MONUSCO Force to analyze the level of civilian harm likely to result from operations. To guide military action, a targeting board oversees operational decisions, targeting rules are based on US and UK army manuals, and an indirect fire policy is in place. Outside of the Mission itself, there is communication and coordination between MONUSCO and humanitarian actors to ensure that humanitarians are not present in areas where operations are planned. Several humanitarian actors CIVIC spoke with felt the risk of the Mission harming both humanitarian actors and civilians was mitigated by interaction between MONUSCO and humanitarian agencies.32CIVIC interviews with humanitarian actors, Goma, July and November 2016. To gather information and make targeting decisions, MONUSCO Force relies on a combination of human intelligence, unmanned aerial systems (UAS), and images collected by high-speed cameras mounted on helicopters. Some civil society leaders and humanitarian actors who spoke with CIVIC expressed concerns that the high level of tree cover in the DRC makes these methods of collecting information unreliable and that images are subjectively interpreted by MONUSCO.33CIVIC interviews with Humanitarian and civil society Actors, Goma and Beni, July 2016. MONUSCO Force officials however expressed confidence in their ability to determine the presence of civilians in operational theaters based on aerial images and information provided by Force specialists who analyze the behavior of various armed groups. Overall, MONUSCO’s targeting practices themselves are robust. There is, nevertheless, a concern over who the Force defines as a civilian. A MONUSCO military official raised this problem stating: “We have procedures [for targeting]. … The core question is: What can we define as a military target, a military objective?”34CIVIC interview with MONUSCO military official, Goma, July 2016. Distinguishing civilians from combatants in the DRC is a complex undertaking. 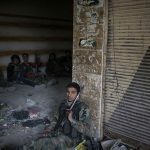 Some armed groups are embedded within the civilian population, wearing military clothes and carrying weapons only at night or while carrying out operations. During the day, they live as civilians. Other armed groups live in military camps with their dependents. ANSAs often forcibly abduct and recruit civilian men, women, girls, and boys to act in different capacities. These practices are particularly prevalent amongst the ADF; women and children associated with the ADF—either voluntarily or involuntarily—sometimes carry weapons and participate in hostilities.35CIVIC interviews with civilians, Beni, Eringeti, and Oicha, July 2016. “Combatants brought into the ADF, whether on their own volition or not, are trained in combat, including child soldiers. Usually the majority of ADF killed [when attacking the FARDC] are child soldiers or women; both carry weapons. … Based on the positive verification of weapons and the use of [women and children] over and over again [in attacks], they are deemed combatants and we can target them.”36CIVIC interview with MONUSCO military official, Goma, July 2016. CIVIC observed different opinions among MONUSCO staff members as to how the Mission should distinguish between civilians and legitimate military targets given the complex operational environment. One high-ranking military official who spoke with CIVIC defined legitimate targets of the Mission as only those carrying weapons, stating that, “The ones we treat as combatants are the ones carrying arms. If they’re not carrying an arm, it’s not fair to treat them as combatants.”39CIVIC interview with MONUSCO military official, Mavivi, July 2016 However, another MONUSCO official tasked with human rights and PoC responsibilities expressed the opinion that all individuals living within militant camps were legitimate targets for military operations, as they had all undergone some form of indoctrination and had failed to flee from the camps.40CIVIC interview with MONUSCO civilian official, Mavivi, July 2016. Such views amongst MONUSCO staff are problematic given that under certain provisions of international humanitarian law (IHL), parties to a conflict are obligated to, “at all times distinguish between the civilian population and combatants and between civilian objects and military objectives and accordingly shall direct their operations only against military objectives.”41Protocol Additional to the Geneva Conventions of 12 August 1949, and relating to the Protection of Victims of International Armed Conflicts (Protocol I), Article 48, June 8, 1997 Warring parties are also expected to exercise “constant care” to spare the civilian population from harm.42Protocol I, Article 57 The principle of distinction requires that actors must distinguish between combatants and civilians: civilians are protected against deliberate attack, where combatants may be attacked. A civilian loses this protection against deliberate attack only for such time as the civilian directly participates in hostilities. What constitutes “direct participation,” though defined by the ICRC as an act, “likely to adversely affect the military operations or military capacity of a party to an armed conflict, or, alternatively to inflict death, injury, or destruction on persons or objects protected against direct attack”43ICRC, Interpretive Guidance on the Notion of Direct Participation in Hostilities Under International Humanitarian Law is subjective and based significantly on context. To best protect civilians, and to distinguish civilians from combatants, MONUSCO should standardize training to ensure that any determination that a civilian is directly participating in hostilities is based on the totality of the circumstances at the time, and not simply on a civilians’ presence in camp, or that a civilian is carrying a weapon. Officially, the Mission accounts for the presence of combatant dependents when planning operations. However, it appears many MONUSCO peacekeepers and personnel still do not conceive of dependents and individuals in support roles as civilians, and that the Mission is willing to accept a higher level of civilian harm if those killed are dependents and functioning in support roles rather than civilians unaffiliated with the militias. CIVIC spoke with a number of civilian abductees, child soldiers, and parents of abducted children affected by ADF, FDLR, and Mai Mai violence. The stories of these civilians sharply challenge the narrative that child soldiers or abductees who remain in militant camps are, for the most part, there voluntarily. Two sisters, 14 and 16, were abducted by the ADF along with their father and younger brother. They watched ADF fighters kill their father with a knife because he complained of being tired. After his brutal murder, they remained in captivity for roughly six months and told CIVIC, “They never trained us as soldiers, but we participated in attacks. The children would stay behind [fighters]. We were instructed to move wounded or dead bodies of the fighters.”44CIVIC interview with civilians, Oicha, July 2016. A 24-year-old female abductee said, “When the [ADF] do their operations, they take civilians they’ve captured and put them in the front, so that if they exchange fire with the FARDC, it’s the civilians who will die.”45CIVIC interview with civilian, Oicha, July 2016. The same woman told CIVIC how she witnessed the murder of her sister by presumed ADF fighters for resisting abduction: “When she said no, they cut my sister’s throat right in front of me. They used a machete. She was 20 years old. I couldn’t do anything, or the same thing [would happen to me].”46Ibid. A young man abducted by the Mai Mai Cheka group at the age of 15 described his situation to CIVIC: “My life has lost its meaning; I am ashamed to live. …I was going to school when two men from Cheka group arrested me and led me directly to [the leader,] Cheka. … I explained that I am the eldest of my family, and my desire is to go to school to study. Cheka told me that if we do not hunt the FDLR my studies will not matter. I was forced to stay there with them. A week after, I was given a gun and two magazines filled with ammunition.”47CIVIC interview with civilian, Kibua, August 2016. A second former child soldier who fought under Mai Mai Cheka described how each family in his area was expected to provide one child from their family to the movement. Cheka militia threatened families that if they did not support the movement in this way, they would be viewed as supporting opposition armed groups and be targeted.48CIVIC interview with civilian, Pinga, August 2016. According to a young man forced to begin fighting at the age of 16, the Nduma Defense of Congo (NDC) armed group abducts the children of families who cannot pay taxes they levy against the local population. He himself was abducted over a family debt and told by NDC fighters, “If you do not want to join, we will kill you.”49CIVIC interview with civilian, Pinga, August 2016. Armed groups in the DRC often target children for recruitment specifically because they lack the full capacity to understand situations and make decisions. One former child soldier acknowledged this dynamic when he told CIVIC, “I understand the reason why the rebel leaders put more trust in the child combatants rather than adults, because children do not know where they are and what they want.”50CIVIC interview with civilian, Pinga, August 2016. The same 19-year-old man stated that, “As the days moved forward, we became disillusioned and our dreams were becoming nightmares. … I used to spend entire nights crying and I especially thought a lot about my parents.”51Ibid. He described wanting to escape from the armed group, but struggling to do so because he was carefully monitored by the leaders of the group after another child soldier ran away.52Ibid. “I was also taken to carry their loot, that was my own property. … I did not have another person to help me, and when I started to struggle under the weight of the luggage, they whipped me so that I walked fast. I could not then show them I was tired. I had explained to them that I was a humanitarian of the Red Cross in vain; we were a lot of civilians in our village who were forced to carry our own looted property. We all suffered the same fate.”53CIVIC interview with civilian, Katanga, August 2016. Some MONUSCO military officials downplayed the role of abductees in camps, saying that no civilians live in ADF camps, or they denied that armed groups use civilians as shields when engaging in attacks55CIVIC interviews with MONUSCO military officials, Mavivi and Goma, July 2016.—two perspectives contradicted by civilian observations and by humanitarian actors. CIVIC spoke with several civilians who had been abducted by presumed ADF rebels, all of whom described many women and children living in camps, including children as young as four or five years old.56CIVIC interviews with civilians, Beni, Oicha, and Erengeti, July 2016. A humanitarian official told CIVIC that armed groups “use women and children as human shields. MONUSCO is paralyzed by these factors and considerations.”57CIVIC interview with humanitarian official, Goma, October 2016. Civilians from the Walikale and Masisi territories, where the FDLR, Mai Mai, and Nyatura armed groups operate, told CIVIC about forced recruitment of their children into armed groups. A number of adult civilians interviewed by CIVIC also described being temporarily imprisoned in camps run by FDLR or affiliated armed groups after failing to pay “taxes,” attempting to prevent looting of their property, or opposing the recruitment of their children. CIVIC also spoke with children who were either forcibly abducted by an armed group, or decided to join local armed groups out of desperation or a desire to protect their families against other armed actors operating in their villages.58CIVIC interviews with civilians, Masisi and Walikale territories, August and September 2016. While it may be tempting to consider all individuals in the vicinity of militant camps carrying weapons as probable combatants, it is clear that many women and children are involuntarily participating in hostilities. MONUSCO military leadership, in partnership with the UN Secretariat, should review the Mission’s Rules of Engagement and adopt scenario-based training for Mission personnel to prepare peacekeepers for encounters with abductees, child soldiers, and combatant dependents during operations. This training should make clear that combatant dependents are not legitimate military targets if not directly taking part in hostilities, and stress to Mission personnel that they should use the minimum force necessary against individuals associated with militant groups if there is any question as to the voluntary nature of their involvement. Recognizing that many people are inside militant camps involuntarily and redefining who is an acceptable target for MONUSCO operations does not amount to an abdication of robust peacekeeping tactics by troops—in fact, quite the opposite—it goes directly to the mandate to protect civilians. So long as clear targeting policies and rules of engagement are disseminated to peacekeepers through practical training, new policies may resolve existing confusion amongst peacekeepers on how to respond when they encounter women and children alongside combatants during operations. Furthermore, robust peacekeeping is as much about proactive prevention of violence and forced recruitment as it is about engaging armed groups. In the long-term, redefining who is a legitimate target for the Mission may lead to the prioritization of robust preventive patrols, demobilization programs, and operations to disrupt the trade and supply chains of armed groups rather than offensive military engagement with militias. 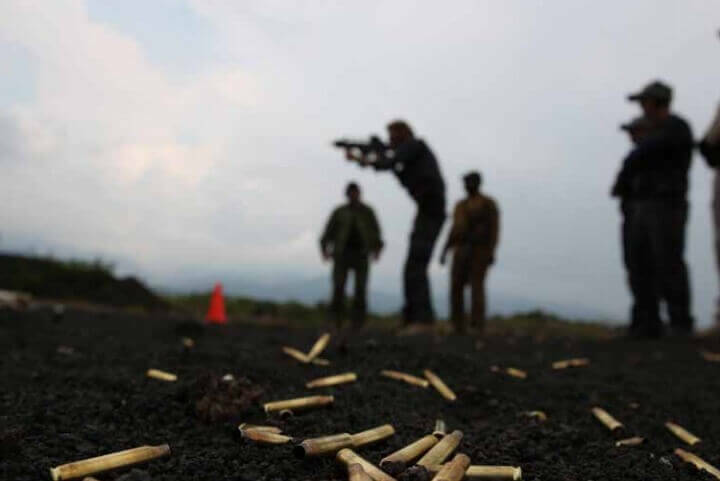 Finally, MONUSCO currently considers proportionality59Proportionality is a concept dictating that in military attacks, the expected civilian harm should not be excessive relative to the military advantage the attack is expected to yield. Proportionality is considered a customary component of international humanitarian law applicable in both international and non-international armed conflict. See International Committee of the Red Cross, Customary InternationalHumanitarian Law, Rule 14, December 31, 2006, International Committee of the Red Crossat the level of individual military maneuvers and operations. MONUSCO should instead adjust its concept of what level of civilian harm in its operations is acceptable based on a serious analysis of not only the immediate military outcomes, but whether a military operation serves the larger strategic goals of the Mission.60CIVIC interview with MONUSCO civilian official, Goma, July 2016. If a military operation is unlikely to lead to longer-term sustained reduction in the fighting capacity of an ANSA, or if FARDC forces are unlikely to maintain control of an area they have captured, MONUSCO should accept a very low level of potential civilian harm. Joint operations between MONUSCO, the FARDC and the National Police Force (PNC) are outlined in MONUSCO’s mandate and are, to some degree, a political and practical necessity. However, in their current form, joint operations create heightened risks for civilians. CIVIC found that the involvement of civilian Mission personnel in planning and civilian harm reduction during operations was less systematic and regular during joint operations than unilateral operations. Moreover, MONUSCO relies heavily on FARDC as a source of information when making targeting decisions, deciding when to engage ANSAs, and determining the civilian impact of its operations. With this heavy reliance on FARDC, MONUSCO risks associating itself with civilian harm and foregoing important opportunities to prevent violence. In order to reduce the amount of civilian harm in joint operations, MONUSCO should build its capacity to gather information and carry out some operations unilaterally. Mission leadership should also give clear guidance to peacekeepers that they are required to act unilaterally to protect civilians in danger and gather information. The Mission can replace reliance on information collected from FARDC sources with greater reliance on information collected from MONUSCO civilian staff members and Congolese communities. As MONUSCO builds unilateral capacity, MONUSCO should take on a larger role in joint mission planning and in setting the priorities for joint operations. While beyond the scope of this report, to ensure the long-term protection of civilians, persistent and strengthened efforts towards security sector reform are also needed.61See for example, “The Democratic Republic of Congo: Taking a Stand on Security Sector Reform,”, 2012, The Democratic Republic of Congo: Taking a Stand on Security Sector Reform published jointly by a number of international and national organizations. Political considerations also influence the level of collaboration. MONUSCO requires the consent and cooperation of the host government to operate effectively. For example, when joint operations were halted in 2014 over human rights concerns, MONUSCO had difficulty carrying out its mandate and operations ground to a halt.63CIVIC interviews with MONUSCO military and civilian officials, Goma, July and October 2016. Many MONUSCO officials are aware of this history and the political imperative to maintain relations with the FARDC and Congolese Government. In addition to being mandated to work with the FARDC, operational realities make some degree of collaboration and coordination with the FARDC necessary. MONUSCO peacekeepers do not have the language skills or knowledge of local context and geography to operate effectively alone.64CIVIC interviews with MONUSCO military officials and humanitarian actors, Goma and Beni, July and October 2016. Another key issue for MONUSCO Force is the difficulty in distinguishing between ANSAs and the FARDC. Over the years, many of the groups have acquired FARDC uniforms and wear them in their camps and during operations. Therefore, without direct communication to the FARDC, MONUSCO troops cannot easily distinguish between an ANSA camp or checkpoint, and one operated by the FARDC.65CIVIC interviews with MONUSCO military and civilian officials, Goma, July and October 2016. CIVILIANS SUPPORT THE IDEA OF JOINT OPERATIONS: Nearly all civilians with whom CIVIC spoke supported the idea of joint operations between MONUSCO and the FARDC. Despite the sometimes strong criticism leveled against MONUSCO by Congolese civilians, they recognized the potential for joint operations to lead to improved behavior by FARDC troops and transfer principles of human rights from international peacekeepers to national soldiers. A 62-year-old man, disabled by an FDLR attack stated that, “If MONUSCO were working jointly with the FARDC, the answer is clear: There will be fewer atrocities or abuses will be prevented.”66CIVIC interview with civilian, Mpati, August 2016 Likewise, a 34-year-old woman said: “MONUSCO has UN standards. Human rights are the foundation of MONUSCO. The [FARDC] abuses cannot happen if MONUSCO engages in combat with FARDC.”67CIVIC interview with civilian, Pinga, August 2016. Expressing similar sentiments, a 49-year-old man from the same region thought that, “If MONUSCO works with the FARDC, exactions would really be avoided, and besides, it would also give the FARDC another way of looking at human rights in armed conflicts.”68CIVIC interview with civilian, Nkasa, August 2016. After raising concerns that many FARDC troops in Eastern DRC are former ANSAs integrated into the army, a male farmer voiced a need for the FARDC to be “accompanied by an independent partner, that is, MONUSCO.”69CIVIC interview with civilian, Mweso, August 2016. In practice, MONUSCO primarily supports FARDC operations with information, logistics, and air support. During larger offensive operations against armed groups, FARDC soldiers are generally alone on the front line, while MONUSCO supports these operations from a distance. Cooperation between MONUSCO and the FARDC is more integrated for ADF operations than against the FDLR. Additionally, although MONUSCO maintains a large number of bases throughout the country, the FARDC have a wider geographical reach, particularly in remote areas.70CIVIC interviews with MONUSCO civilian and military officials, Goma, October and December 2016. Because the nature of MONUSCO’s support to FARDC is primarily reinforcing and logistical, many civilians are not aware that joint operations are taking place. Several civilians who are aware of the existence of joint operations suggested that the parameters of the partnership between MONUSCO and the FARDC need to change in order to produce better results and reduce violence against civilians. A male civil society leader commented on the fact that joint operations require the genuine support for the Mission and government to yield results, saying “I think that everything depends first and foremost on the goodwill of MONUSCO and especially the FARDC, because even if we do these joint operations and if there is no goodwill, I assure you that nothing good will arrive. It all depends on goodwill and above all on dedication.”74CIVIC interview with civilian, Rubaya, September 2016. Although joint operations may be necessary for MONUSCO to effectively implement its mandate to protect civilians, they also raise a number of concerns related to civilian harm. A lack of strong, pre-emptive communication and planning between the FARDC and MONUSCO in the context of joint operations sometimes results in rushed MONUSCO support for operations without time for proper civilian casualty analysis or involvement of MONUSCO civilian personnel in planning. A UN official noted, “They’re supposed to be doing joint planning, but the reality is that the FARDC is doing [the] planning. MONUSCO often doesn’t know the details until the last minute.”75CIVIC interview with UN official, Goma, July 2016Similarly, a MONUSCO civilian official told CIVIC that, “When you have joint operations, you should have joint planning [and some level of joint command and control], but they’re doing their thing and want our support for intelligence and logistics.”76CIVIC interview with MONUSCO civilian official, Goma, July 2016.Expressing clear concerns to CIVIC, a MONUSCO military official involved in operational planning stated, “We’ve found ourselves over the last two months rushing to catch up with the FARDC, who want to do, or are doing, X. So, we don’t have the luxury of proper planning at times. We’re missing out on the civilian advice side.”77CIVIC interview with MONUSCO military official, Goma, July 2016Without proper planning and consultation with civilian staff on joint operations MONUSCO risks inadvertently turning its offensive capabilities and equipment against civilians. Joint operations also affect the ability of MONUSCO Force to prevent harm to civilians through pre-emptive ground operations. Referring to attacks on civilians in the Eringeti area, a MONUSCO military official acknowledged that joint operations have led to inaction when the Mission wrongly anticipates that the FARDC will respond to an attack: “FARDC said that they were going to act, and then nothing happens. … Some days, cooperation is great. Other days, less so.”78CIVIC interview with MONUSCO military official, Goma, July 2016Similarly, a MONUSCO civilian official said, “We have warning signs [of an attack], we show up, and the FARDC says, ‘No we are handling it,’ and Force turns around without confirming.”79CIVIC interview with MONUSCO civilian official, Goma, December 2016.A civil society leader also commented on how the FARDC sometimes inhibits robust MONUSCO action, telling CIVIC that, “We collaborate with MONUSCO on protection, but they can’t go out without the authorization of the FARDC. When they try [to be more proactive], there are blockages from the FARDC. [MONUSCO] has told us that they can’t go into the battlefield without the FARDC.80CIVIC interview with civil society leader, Oicha, July 2016. FARDC officers are heavily involved in targeting decisions. As a MONUSCO military official explained: “Before [a targeting decision] goes to the FC [Force Commander], it always goes to the FARDC for review. If they don’t approve, we don’t move forward at this point. We can go unilaterally under the mandate, but we are not doing it at this stage.”81CIVIC interview with MONUSCO military official, Goma, July 2016.A second MONUSCO military official confirmed to CIVIC that all targeting decisions are filtered through the FARDC who have to explicitly physically sign of on the operations. 82CIVIC interview with MONUSCO military official, Goma, December 2016.MONUSCO soldiers in the field who spoke with CIVIC verified that they are in close communication with the FARDC commander in their area of operations, and frequently contact the FARDC to make decisions on engagement.83CIVIC interview with MONUSCO military officers, November 2016. A number of MONUSCO staff members felt that peacekeepers are overly trusting of their FARDC counterparts; they view the FARDC as a partner that they can work with and understand. 84CIVIC interviews with MONUSCO civilian officials and UN officials, Goma, July and October 2016.This stance is, in part, an inevitable product of the deep tactical need for the Force to work with the FARDC to distinguish between FARDC soldiers and ANSAs. However, in some ways MONUSCO appears to be more open to sharing tactical information with the FARDC than with civilians inside the Mission. MONUSCO’s current reliance on the FARDC in deciding when to mount operations creates a potential for the Mission Force to forgo important opportunities to protect civilians and allows the FARDC to set operational priorities. 85CIVIC interview with MONUSCO civilian official, December 2016.The risk of joint operations being directed away from protection of civilians activities and instead used for FARDC purposes is particularly high given that MONUSCO’s own mandate acknowledges reports of FARDC complicity in activities with ANSAs.86See UNSC Resolution 2211, “noting with deep concern repeated reports of collaboration between elements of the Congolese Armed Forces (FARDC) and elements of the FDLR at a local level…” [emphasis in original]. More generally, the FARDC are less strict about their targeting policies than MONUSCO, and joint-operations risk affiliating MONUSCO with civilian harm in the eyes of the population, or, in the worst case, involving MONUSCO in attacks against civilians. According to a MONUSCO civilian official: “We do trainings in IHL, but they have difficulty [seeing those kidnapped by the ADF] as victims. … When in the context of war, it’s a challenge.”87CIVIC interview with MONUSCO civilian official, Mavivi, July 2016.Several civilians who spoke to CIVIC referenced an incident in which FARDC troops killed a young female abductee during their operations against ADF. Her body was prominently displayed by FARDC as a killed combatant, upsetting civilians who recognized her as an abductee. 88CIVIC interviews with civilians, Oicha, July 2016.A MONUSCO staff member operating in the region confirmed this incident.89CIVIC interview with MONUSCO civilian official, Mavivi, July 2016. FARDC soldiers who spoke with CIVIC emphasized that they struggle with issues of distinction when involved in operations; that combatants use civilians as human shields and; that they rely on “good sense” to distinguish between civilians and combatants because they lack specific guidelines or training on distinction. 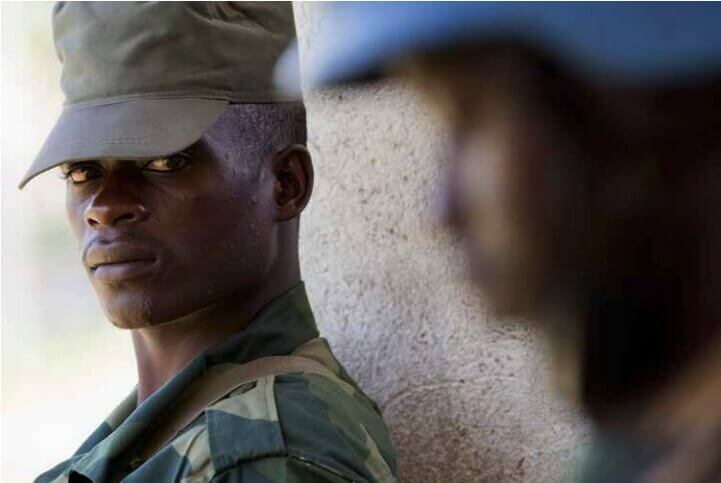 FARDC soldiers acknowledged that they believe innocent civilians are sometimes victims of their attacks due to the difficulty in distinguishing civilians from combatants and because it is difficult to strike at combatants without harming civilians. 90CIVIC interviews with FARDC soldiers, North Kivu Province, August and September 2016During meetings with CIVIC, MONUSCO officials also referenced a number of occasions when FARDC soldiers blocked investigations into potential civilian harm in areas of their operations.91CIVIC interview with MONUSCO civilian officials, Goma, July and October 2016. It is clear that additional training on IHL—particularly on issues of distinguishing who can lawfully be considered a combatant—is needed for FARDC soldiers deployed to eastern Congo as part of security sector reform efforts. FARDC soldiers would also benefit from scenario-based training that prepares them to respond in ways that reduce civilian harm when they encounter combatants living amongst civilians. As noted, joint FARDC-MONUSCO operations are driven by the Mission’s mandate and are politically and practically necessary for effective operations. However, given the potential for the FARDC-MONUSCO partnership to place Mission resources in service of joint operations that fail to seriously mitigate civilian harm, MONUSCO should improve its ability to operate independently. Encouragingly, this point is widely recognized within the Mission. CIVIC was informed that both the Force Commander and Special Representative of the Secretary-General consider it important for MONUSCO to develop greater autonomous operating capacity and geographic knowledge to reduce reliance on the FARDC. 92CIVIC interview with MONUSCO civilian officials, Goma, July and October 2016According to one MONUSCO civilian official, “We need a balance of sufficient jointness to function but sufficient independence to [enact our PoC mandate]”93CIVIC interview with MONUSCO civilian official, Goma, October 2016.Increased capacity for unilateral action should be accompanied by clear and specific directives from MONUSCO’s leadership on how to reduce FARDC involvement in targeting decisions, information collection, and communication. MONUSCO is developing Rapidly Deployable Battalions (RDBs), a step toward improving the capability of the Mission to respond flexibly to threats against civilians and to reduce reliance on the FARDC for accessing remote areas. One RDB is active in South Kivu Province and MONUSCO plans to generate and deploy at least two additional RDBs in late 2016 or early 2017. 94CIVIC interviews with MONUSCO civilian and UN officials, Goma, October, November and December 2016.MONUSCO is also reviewing an expanded partnership on joint patrolling between MONUSCO, the FARDC, and the PNC to extract lessons-learned. 95CIVIC interview with MONUSCO military official, Goma, December 2016.The Mission has also pioneered a variety of tools for engaging with communities. Among other benefits, these tools allow MONUSCO to develop local sources of information outside of FARDC channels. However, MONUSCO continues to rely heavily on the FARDC for information on civilian harm and to verify information from other local sources. Although MONUSCO is constrained by jurisdictional limitations, 96For example, MONUSCO cannot unilaterally collect physical evidence from a massacre site or the site of a military engagement, as it is operating within the sovereign territory of the DRC.the Mission should move towards greater reliance on information generated by Congolese civilians rather than the FARDC.97CIVIC interviews with MONUSCO military and civilian officials, Mavivi and Goma, July, October, and December 2016. “HRDDP is a policy that is supposed to evaluate how joint operations affect impacts on civilians. They are using the policy to evaluate whether they can work with specific generals. It is used in a very narrow and politically defensive way. There should be analysis broadly from before to after ops to look at what, through the course of joint op[eration]s, we can do to reduce civilian harm.”99CIVIC interview with MONUSCO civilian official, Goma, December 2016. MONUSCO should consider using the HRDDP review process as an opportunity to look, on a larger scale, at how joint operations affect civilians and to assess whether the FARDC is taking proper action, in line with IHL, to uphold principles of proportionality and mitigate civilian harm in its operations. Conducting this analysis will require several different components of the Mission to begin collecting and providing JHRO officers with additional information on FARDC operations. However, it is essential to safeguarding against abuses, particularly considering how heavily the Mission currently relies on FARDC reporting. The effectiveness of joint operations and MONUSCO’s ability to reduce civilian harm in joint operations will inevitably be tied to the willingness of the Congolese government and individual FARDC commanders to engage in a meaningful partnership with MONUSCO—a factor that MONUSCO cannot control. However, MONUSCO can place a larger emphasis on developing strategic unilateral Force capabilities, reducing over-reliance on FARDC intelligence by increasing links between MONUSCO civilian officials and Congolese communities, and ensuring that tools such as the HRDDP are applied holistically to consider the civilian impact of joint operations. MONUSCO also conducts post-operation reviews including battle damage assessments (BDAs) and Joint Evidence-gathering Teams (JETs). While BDAs provide MONUSCO with some information about the effects of its military actions on the population, they appear to be a solely military tool and are of limited quality and function because, like targeting decisions, they rely heavily on information from the FARDC and Unmanned Aerial Systems. JETs are a combined effort between MONUSCO’s military and civilian personnel and emphasize rapid deployment to investigate incidents. JETs are a promising development but require additional investment of resources by MONUSCO and the UN Secretariat. To overcome resistance from some civilian components of the Mission, MONUSCO’s leadership will need to continue to explain to Mission staff members the important and unique role of the JETs as well as build support for the tool amongst military peacekeepers. If the capacity of MONUSCO to deploy JETs is increased, JETs have the potential to be a part of a larger system for thoroughly investigating and tracking accusations of civilian harm. Even with review tools in place, Mission officials highlighted a key gap in MONUSCO’s postoperation practices and policies on civilian harm mitigation: There is a need for greater consideration of how the effects of operations or civilian harm from each operation feed into MONUSCO’s larger strategic goals. Battle damage assessments (BDAs) are one tool that MONUSCO uses to analyze how its actions have affected the civilian population and to adjust tactics to reduce civilian harm. However, it appears that in their current form, BDAs are an inadequate instrument for understanding and reducing civilian harm. In the absence of MONUSCO ground forces, BDAs are performed using Unmanned Aerial Systems (UAS), helicopters, and by collecting information from military liaison officers and the FARDC. As discussed in relation to targeting decisions, the terrain in many areas of the DRC limits the utility of UAS and helicopters for making detailed observations. According to one MONUSCO civilian official, “There are heavy canopies here in most places. Overflight is the way BDAs are done and they don’t work here. We are doing none of that in ADF areas. We are bombarding without eyes on the ground.”102CIVIC interview with MONUSCO civilian official, Goma, December 2016.Just as depending on the FARDC to inform targeting decisions is problematic, relying heavily on information provided by the FARDC on the impact of joint operations creates a potential for false reporting. Moreover, as one MONUSCO civilian official observed, “The BDA has a purely military role.”103CIVIC interview with MONUSCO civilian official, Goma, July 2016.BDAs are conducted entirely by Force personnel without any civilian involvement. Additionally, information and analysis collected as part of a BDA does not result in any formal report that can be shared with MONUSCO’s civilian colleagues to feed into improved operational plans to reduce civilian casualties. 104CIVIC interview with MONUSCO military official, Goma, December 2016The lack of a formal BDA report or assessment led several MONUSCO civilian officials to state that BDAs are not really being conducted or that they have never seen a BDA. 105CIVIC interviews with MONUSCO civilian officials, Goma, October and December 2016.One MONUSCO civilian official explained to CIVIC that, “Force says that they have BDAs, but if you ask Force for a BDA, they can’t give you one.”106CIVIC interview with MONUSCO civilian official, Goma, December 2016.Expressing similar concerns, a second MONUSCO civilian official said, “[The BDAs] trouble me. It’s not what it should be. I’m particularly concerned in the Triangle [of ADF operations]. … BDAs are being done, but could be done so that the Mission’s overall mandate is better integrated. They could also better integrate civilian perspectives into the military processes.”107CIVIC interview with MONUSCO civilian official, Goma, July 2016. Recognition among MONUSCO staff members that BDAs and BOIs are tools with limited scope and utility has led to the creation of JETs. Although still new, Joint Evidence-gathering Teams (JETs) are a promising tool for allowing MONUSCO to collect and analyze information on civilian harm in the wake of its operations. JETs are comprised of roughly three to eight MONUSCO civilian and military staff members and are led by a civilian official. They are intended to be deployed to the field quickly after an operation or incident occurs to investigate any concerns of violations, civilian harm, or failure to adequately implement the PoC mandate. As their name implies, the focus of JETs is on collecting evidence—taking photos, gathering physical fragments of weaponry, 110Outside of MONUSCO premises, MONUSCO requires the permission and presence of Congolese prosecutors to collect such physical evidence, as the DRC retains sovereign jurisdiction over its territory.and collecting testimony from uniformed personnel as well as Congolese civilians. There activities are more forensic in nature than most other after-action analyses conducted by MONUSCO. After information is collected on the ground by JETs, MONUSCO headquarters staff draft a report summarizing and analyzing the findings of the team which is then reviewed by a High-Level Panel assembled at the discretion of the SRSG. In the past, High-Level Panels have been composed of two MONUSCO civilian officials and one MONUSCO military official. So far, four JETs have been deployed. The Force has closely supported these deployments with transportation and protection for team members on the ground, and the Mission has released guidelines to its personnel explain the function of JETs. Overall, MONUSCO staff members spoke positively about JETs. “JETs are new. They are working pretty well,” one civilian MONUSCO Force official said. “It may not be at best practice yet, but the idea is right.”111CIVIC interview with MONUSCO civilian official, Goma, December 2016. “JETs are [a] pretty good tool to have a better picture and provide information,” a military ofcial added. 112CIVIC interview with MONUSCO military ofcial, Goma, December 2016.He described how after a recent incident of civilian harm, MONUSCO “dispatched a team a few hours after the massacre to talk with Force and FARDC on the ground and understand what happened and what could be improved.”113Ibid. MONUSCO staff members explained that the capacity of the JETs is not yet at a level where multiple teams can be deployed simultaneously to different locations without placing a strain on MONUSCO’s operations, as they require the participation of a number of specialized personnel from different segments of the Mission. Funding and ongoing support are needed to increase the capacity of JETs and build professional evidence gathering skills amongst MONUSCO employees. Further, careful communication around JETs is also required to build Force buy-in and support at the lower levels114CIVIC interviews with MONUSCO civilian and military officials, Goma, October and December 2016 and to clarify how JETs build on and supplement other investigation tools already employed by MONUSCO.115In addition to BDAs and BOIs, the JHRO segment of MONUSCO leads Joint Analysis Missions (JAMs) focused on documenting human rights violations. While there is some overlap in how JAMs and JETs can be deployed, ideally JETs will focus more on rapid deployment, professional evidence gathering, and civilian harmed caused by the action or inaction of the Mission, rather than human rights violations. Finally, although JETs are an important new instrument that allow MONUSCO to improve evidence collection and to assess accusations of civilian harm, JETs are not suited to assessing whether unintended consequences of MONUSCOs operations potentially disrupt its core goals of civilian protection and stabilization. A UN official in Goma noted the absence of this larger analysis: “Monitoring due diligence is not done in conflict areas. Human rights [staff members] follow up after operations, not during them.”116CIVIC interview with UN official, Goma, October 2016.This analytical weakness was also highlighted by MONUSCO personnel in meetings with CIVIC. Speaking specifically about the need for BDAs to contribute to a broader analysis, one Mission official stated, “BDAs just [figure out] what we hit. Then what? We need more understanding and analysis on the implications.”117CIVIC interview with MONUSCO civilian official, Goma, October 2016.A similar point was raised regarding JETs: “JETs are a post-facto of how things went—of what we could do better. … You would probably never deploy them until afterwards [when operations are complete]. … They are never involved unless there is an accusation [of civilian harm].”118CIVIC interview with MONUSCO civilian official, Goma, December 2016.Several High-Level Panels emerging from JETs have also recommended the creation of a mechanism to more effectively link PoC strategies to operational planning and to improve the quality of BDAs.119Correspondence with MONUSCO civilian official, Goma, December 2016. Making amends is a process in which a party to a conflict or peacekeeping operation intervening in a conflict addresses civilian harm they have caused within the lawful parameters of their combat operations, despite having no legal obligation to do so. As an attempt to redress accidental harm that occurs within the bounds of distinction and proportionality, amends are distinct from legal proceedings to investigate violations caused by armed forces and any penalties that are ordered by a court or legal body. Amends can take a variety of forms, including public or private apologies, monetary payments, in-kind assistance, livelihood assistance programs, rebuilding damaged property, or other actions intended to restore both the dignity and material well-being to those harmed. In the DRC, where conflict has persisted for decades and where civilians often bear the brunt of violence and violations, the population’s resources and resilience have been depleted. Houses are routinely burnt, crops stolen, family members killed or disabled, and children abducted. 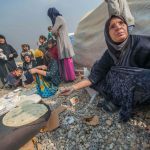 Many civilians have been repeatedly displaced and with future security entirely uncertain, they are afraid to invest more resources in planting crops they may never harvest, or building a house that may be quickly destroyed. This is the environment that MONUSCO operates within and when it causes damage to property, livestock, health, or the lives of civilians, it is essential that every effort be made to recognize and address that harm. Currently, MONUSCO makes monetary payments to civilians for damage caused by its operations or assists in rebuilding damaged property. But it does this in an ad hoc way with no standard operating procedure (SOP) or guidelines. 120CIVIC interview with MONUSCO civilian official, Goma, October 2016.Former and current MONUSCO officials were aware of examples where regional offices had established guidelines around the value of different animals accidentally killed or where MONUSCO made monetary payments to victims of road accidents or to repair a school damaged by the landing of MONUSCO aircraft. 121CIVIC interviews with MONUSCO civilian officials, Goma, October and December 2016.However, because no formal policy or SOP exists, there was confusion amongst both MONUSCO and UN agency officials as to how and when the Mission addresses civilian harm. Civilians aren’t aware of amends being offered: Most civilians who spoke with CIVIC had not been harmed by MONUSCO attacks or witnessed civilian casualties from Mission operations. However, there were some civilians who said their village or one nearby had been bombed by the Mission, destroying houses and killing civilians. In no case where civilians believed MONUSCO had accidentally killed civilians were they aware of any attempt to investigate or provide compensation. For example, a 37-year-old man told CIVIC, “Several houses were destroyed and people also died. MONUSCO has never accepted this error.”122CIVIC interview with civilian, Pinga, August 2016. Civilians, civil society leaders, and humanitarian actors all reported a higher level of civilian harm perpetrated by FARDC soldiers than by MONUSCO. The accusations leveled against FARDC varied in kind and severity, but included specific reference to the FARDC counting killed civilians as combatants. Angered by inaction in the face of civilian deaths: A large number of civilians were also angered by what they viewed as MONUSCO’s inaction in the face of attacks against civilians. A Congolese civil society leader said, “The community put all its hope in MONUSCO because the government didn’t do its job to protect civilians. And yet MONUSCO only observes and counts the dead.”123CIVIC interview with civil society leader, Goma, July 2016.A 50-year-old woman who witnessed attacks in Eringeti interpreted MONUSCO’s inaction as indifference. “People’s lives here don’t interest them,” she stated. 124CIVIC interview with civilian, Eringeti, July 2016.While there is no evidence of complicity between MONUSCO and any ANSAs, a significant number of civilians who spoke with CIVIC expressed suspicions of MONUSCO complicity in attacks. “People here say that MONUSCO is complicit,” said a 65-year-old man from Beni. “Why do we say that? Because they don’t respond.”125CIVIC interview with civilian, Beni, July 2016.Echoing this sentiment, a 58-year-old man stated: “With them, there is no peace. We think that they are collaborating with those in the bush.”126CIVIC interview with civilian, Eringeti, July 2016. Civilians do not know how to report abuses: A nurse who reported having observed civilians killed in a MONUSCO bombing told CIVIC he was willing to report the harm, but did not know how to do so: “I never complained, but I’m willing to do it. We have suffered enough bodily and mental harm.”127CIVIC interview with civilian, Pinga, August 2016.A 17-year-old boy said: “I have never filed a complaint against someone but that does not mean I cannot do it. The problem is to know who and where to complain.”128CIVIC interview with civilian, Pinga, August 2016.A similar lack of knowledge about how to report abuses was shared by nearly all of the civilians that CIVIC interviewed. One man who reported to CIVIC second-hand knowledge of a MONUSCO bombing that killed civilians voiced a poignant plea for MONUSCO and the FARDC: “Each group should be aware of his mission, with a minimum of humanity. It seems we are forgotten by all.”129CIVIC interview with civilian, Mweso, August 2016.Amends offer an opportunity for the Mission to begin repairing its reputation with Congolese citizens. One MONUSCO official said he was aware of MONUSCO repairing buildings but was not aware of payments being made to any civilian killed as a result of Mission airstrikes. 130CIVIC interview with MONUSCO civilian ofcial, Goma, December 2016.A UN official stated, “I haven’t heard of any civilian being compensated. And after many years of the Mission, this is kind of worrisome. … There’s no mechanism, to my knowledge.”131CIVIC interview with UN ofcial, Goma, July 2016. While MONUSCO does, in practice, make monetary payments to some civilians, because these processes are not standardized and clear, there is a lack of understanding even within MONUSCO and other United Nations organizations as to how and when amends are made. An SOP on amends, would create much needed transparency around the process of investigations, decisions, and payment for victims and their families. If information about the SOP is widely shared with civilians, it has the potential to ensure that civilians understand their right to report harm and the process for doing so, thereby reducing under-reporting. Furthermore, a standardized process of amends will ensure that all cases are treated equally from the information collection stage through to payment. Finally, if a system for tracking civilian harm is built into the amends process, it will greatly increase the ability of the Mission to understand how its operations afect civilians and adjust its operations accordingly to mitigate civilian harm. A civilian claims unit within MONUSCO handles monetary payments for civilian harm as a result of its operations. The process was described as, “a standard actuarial approach to compensation.”132CIVIC interview with MONUSCO civilian ofcial, Goma, October 2016.Several MONUSCO ofcials that CIVIC spoke with saw a need for a more standardized approach and the value of carefully understanding and tracking civilian harm caused by unilateral MONUSCO operations and joint operations with the FARDC. In the opinion of one MONUSCO civilian ofcial, “If there’s a reasonable belief that MONUSCO or joint ops [led to civilian harm] MONUSCO ought to take liability and make amends.”133CIVIC interview with MONUSCO civilian ofcial, Goma, October 2016The same ofcial explained that, “If published and public, it could be part of good ofces and improving MONUSCO’s reputation. … A policy could ensure predictability and quality. The clearer the guidance, the clearer the quality of the outcome—particularly with staf turnover.”134CIVIC interview with MONUSCO civilian ofcial, Goma, October 2016. Ibid. The idea of an SOP on amends sometimes raises fears amongst UN personnel that a mission will be flooded with false claims. However, while it may result in an increase in claims as people better understand their right to report, a formal system for receiving and addressing claims actually has the potential to reduce false reporting. If MONUSCO clearly communicates on the process of investigation and the findings of its investigations to communities, civilians may well feel less likely to benefit from a false claim. CIVIC was told that in the past, reports of failed action or harm to civilians have been disproved by MONUSCO investigations. A more formal process for investigating accusations of civilian harm and communicating about the process and findings to communities could repair the Mission’s reputation in the eyes of the population. While MONUSCO has mechanisms for recording civilian harm occurring in the context of unilateral and joint operations, BDAs do not result in a formal report and JET reports are different from a standardized system of tracking harm. A report sits on a shelf. A tracking system allows data to be continuously updated and analyzed across incidents. As one MONUSCO official noted, “tracking of all civilian casualties related to MONUSCO and joint op[eration]s” would allow the Mission to “do analysis to compare and understand” how to reduce those civilian casualties. 135CIVIC interview with MONUSCO civilian ofcial, Goma, December 2016.MONUSCO systematically tracks PoC incidents through a database. A similar database could be established to track incidents and patterns of civilian harm. Implementation of a system for tracking civilian harm would be an essential part, not only of a systematic amends policy, but also of Mission eforts to understand how military operations impact the civilian population on a larger level and adjust military operations in response to this analysis. It is important that any amends policy and system of tracking civilian harm be understood as a method to reduce casualties and improve military operations, rather than as a means of criticizing the Force. 136CIVIC interview with MONUSCO civilian ofcial, Goma, December 2016.Mission leadership would need to fully explain and build Force support for the policy. It is also critical that a policy on harm tracking and amends “avoid[s] becoming part of the cycle of ‘We inform you and you don’t do anything.’”137CIVIC interview with MONUSCO civilian ofcial, Goma, October 2016. The results of investigations will need to be clearly communicated to civilians to avoid perpetuating the perception that MONUSCO collects information from communities but fails to act on it. If MONUSCO begins to standardize the way it collects and analyzes information about civilian harm in the context of joint operations, it can use that information to further reduce civilian harm. Moreover, amends need not only be individual monetary payments. MONUSCO can also begin to think about how collective amends to communities can contribute to the long-term goals of protection, peace consolidation, and stabilization outlined in its mandate. Over the course of its existence, MONUSCO has evolved to respond to the changing and challenging protection concerns of the Congolese population. Where the old tools have been deemed insufficient, MONUSCO has adopted new tools. Programs developed by the Mission, such as the community liaison assistants, have been adopted by other peacekeeping missions to improve protection of civilians. While MONUSCO has tools in place to promote coordination between civilian and military components of the Mission and to mitigate harm to civilians, these tools can and should be improved to uphold the Mission’s mandated responsibility to “mitigate risk before, during, and after any military operation.”138UNSC Resolution 2211, para. 9.MONUSCO officials who spoke with CIVIC advocated for such change, putting forward ideas for adjustments and improvements that are reflected in the recommendations of this report. To mitigate harm before operations, MONUSCO should ensure that its senior civilian staff members are regularly and formally included in targeting boards and concept of operations meetings. Intelligence gathered by JMAC and other field-based civilian components of the Mission must be more fully utilized to shape military operations against armed non-state actors. The UN Secretariat, Department of Peacekeeping Operations (DPKO) and MONUSCO senior leadership must make clear to all MONUSCO personnel that combatant dependents and other individuals serving in support roles retain their civilian status unless directly involved in hostilities and should be treated as civilians when the Mission considers civilian harm mitigation measures in its operational planning. Moreover, DPKO and Mission leadership should review MONUSCO’s Rules of Engagement and adopt scenario-based trainings that prepare peacekeepers for encountering women and children amongst combatants during hostilities and discourage the use of force against individuals likely to be involuntarily serving as combatants. During joint operations with the FARDC and the National Police Force, MONUSCO needs to reduce its reliance on FARDC information by placing more emphasis on collection and use of information from Congolese communities and Mission civilian staff members. Although cooperation with the Congolese government and the FARDC is necessary, building capacity for the MONUSCO Force to operate more independently would reduce the likelihood that it fails to act when civilians are in danger or supports FARDC operations resulting in civilian deaths. MONUSCO can improve its post-operation civilian harm analysis by adopting a more thorough and standardized process for carrying out and reporting on BDAs. 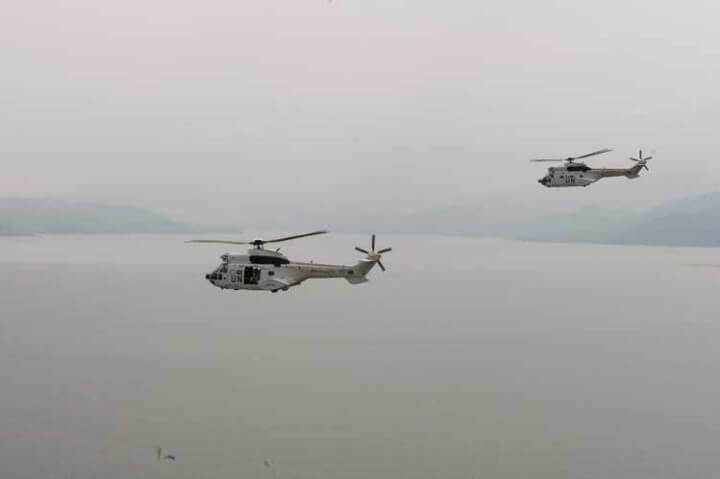 The UN Secretariat should also prioritize funds for building the capacity of JETs to respond to reports of violations, instances where MONUSCO fails to act, and accidental harm occurring in the context of MONUSCO and joint operations. 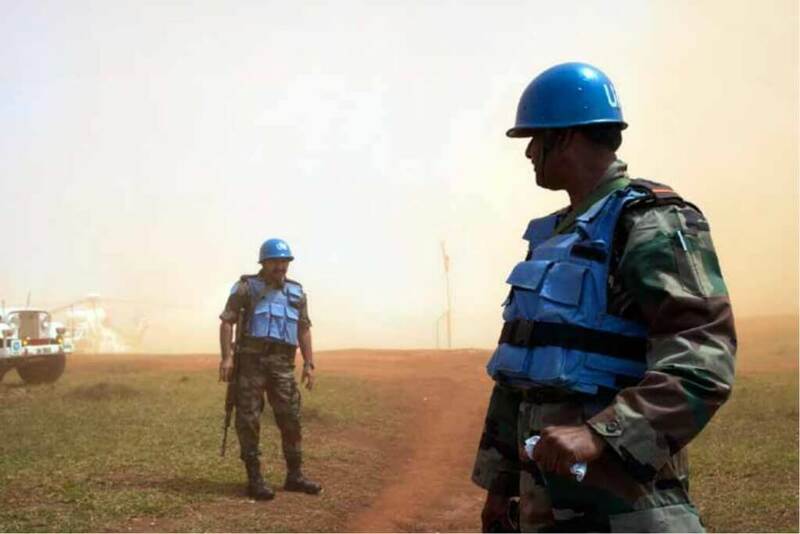 Analysis of civilian harm should be a continuous process that occurs throughout the duration of peacekeeping operations and the establishment of a system for tracking accidental civilian harm would allow MONUSCO to understand how its operations affect civilians and adjust its actions to reduce civilian harm. MONUSCO also needs to look holistically at how its military operations affect civilians and contribute to the wider stabilization goals of the Mission. MONUSCO will not remain in the DRC indefinitely and the tools that it adopts can serve as templates for the policies and practices employed by the Congolese Government. As an international peacekeeping operation, MONUSCO has a strong obligation to address any civilian harm that it causes. Adopting a standard operating procedure on amends for accidental civilian harm would ensure that the Mission’s response to harm is consistent, thorough, and truly redresses any damage caused by peacekeeping operations. An SOP on amends would also serve as a strong example to the Congolese Government of best practices in civilian harm mitigation. “From Mandate to Mission” reviews the practices and policies that the United Nations Organization Stabilization Mission in the Democratic Republic of Congo (MONUSCO) has in place to reduce harm to civilians in its operations. The report recommends ways for MONUSCO, the United Nations Headquarters, and the Congolese government to improve operational planning, training, and targeting practices to address harm to civilians. It also advises the adoption of a system to track civilian harm and standardize practices of post-harm assistance that mitigate the negative effects of operations on the civilian population. The report is primarily based on field research conducted by two Center for Civilians in Conflict (CIVIC) staff members and one research consultant who conducted interviews in the Goma, Beni, Masisi, and Walikale regions of the Democratic Republic of Congo over a six-month period from July through December 2016.